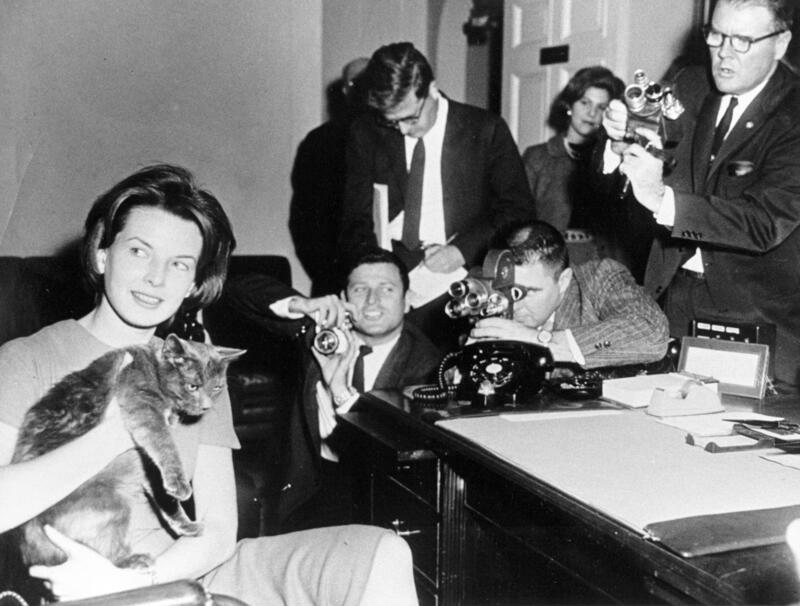 Scope and Content Note: In this photograph, First Lady Jacqueline Kennedy's Press Secretary Pamela Turnure sits in an office holding Caroline Kennedy's cat, Tom Kitten, as members of the press photograph her. Newsreel photographer for United Press Movietone, Thomas J. Craven, Sr., stands at far right; others are unidentified. White House, Washington, D.C.